Last Friday, innovative footwork producer Jlin released her new album Black Origami, via Planet Mu. And you might have noticed it’s also our Album of the Week right now. It’s a fantastic record. Today, Jlin has released a new video for the single “Carbon 7,” which is as visually entrancing and eye-popping as the beat-laden intensity of the track itself. 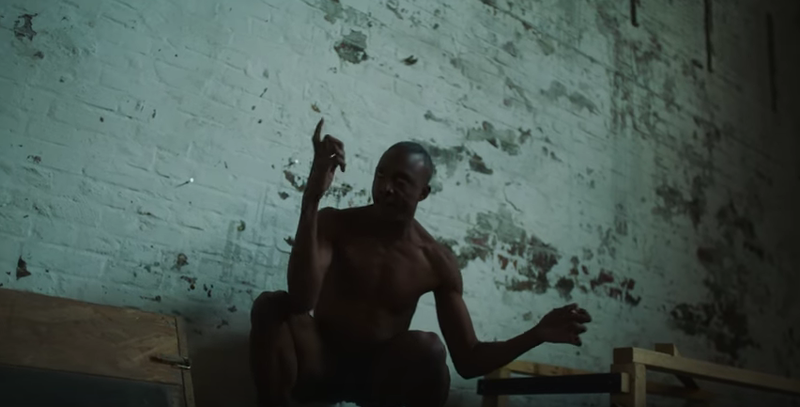 The clip is directed by Joji Koyama, and focuses on choreographer and dancer Corey Scott Gilbert, whose own physical movements are a dazzling visual complement to Jlin’s furious, fluid productions. He contorts and jerks his body throughout an empty warehouse, and it’s both beautiful and strange. Yet it also offers a compelling case for how to dance to music this bonkers. Watch the Jlin “Carbon 7″ video below. Jlin’s “Downtown” was on our list of the Top 100 Tracks of 2016.